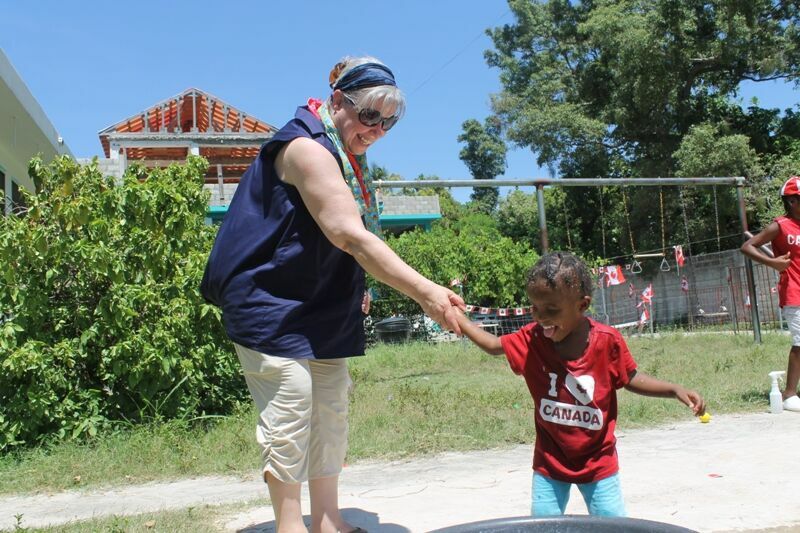 This post gives an update on my wife LaRee and daughter's mission trip to Haiti. Yesterday, temperatures reached 42 Celsius (about 104 degrees Fahrenheit). For readers in southern U.S. or other hot areas that may be nothing but for my Canadian wife it was oppressive and the high humidity added to her misery. 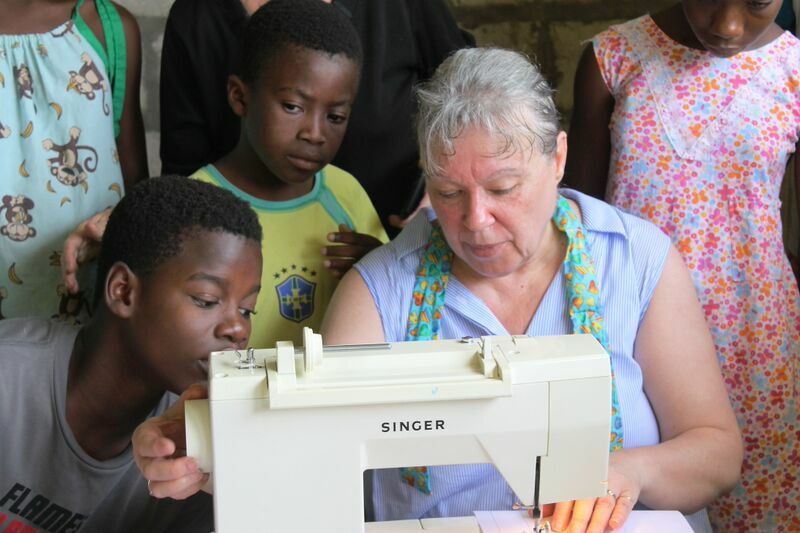 Never one to shy away from her responsibilities, LaRee soldiered on and taught sewing to children at a Christian orphanage and school. yesterday. If the text seems disjointed, it's because, as they say, a picture is worth a thousand words. 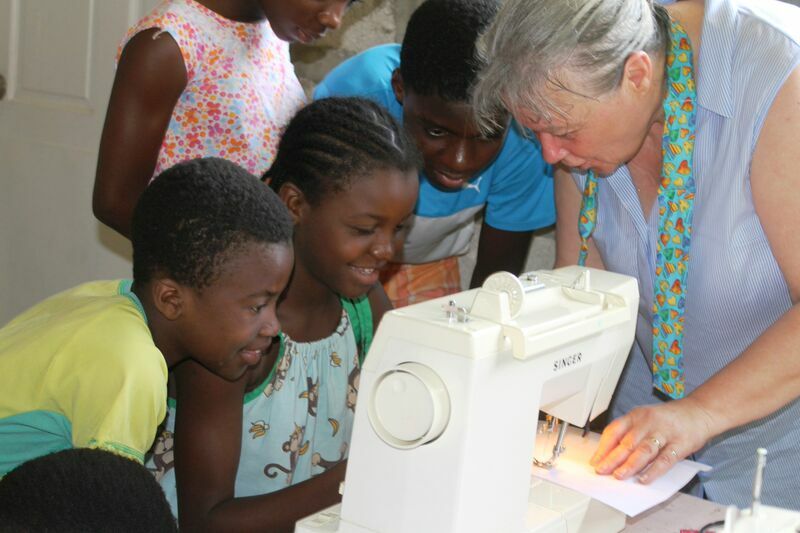 The children love sewing! LaRee says they have amazing attention spans, taking in everything she has to teach. Their minds are like sponges soaking in all LaRee presents. Sewing involves more than just sewing as any seamstress will attest. It involves planning, math, drafting, following a pattern, cutting, pinning, understanding dimensions and dynamics of different fabrics. 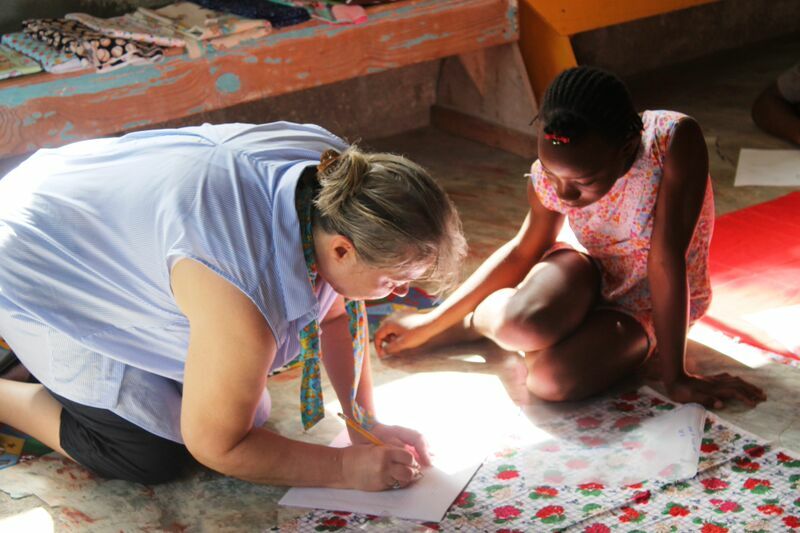 After the sewing classes were over for the day, it was time for fun. 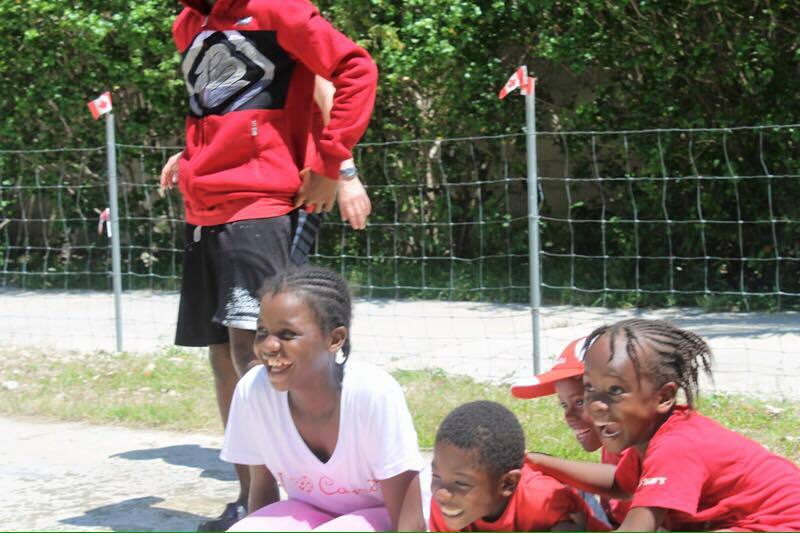 They celebrated Canada Day (July 1st) with fun and games. Laughter was abundant and joy infectious. 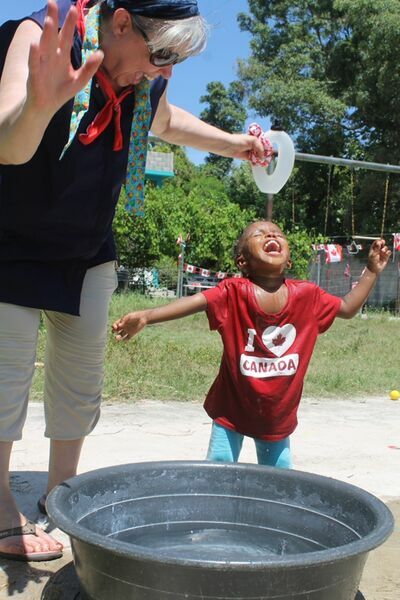 "This little girl was outside in 42.8 in the sun celebrating Canada Day. Her hat was nowhere to be found. I took one look at her little head covered in teeny tiny braids and could see the perspiration dripping. I took her by the hand and started to wet her head down. She was absolutely elated and so was I, just to watch the expression on her face!" The children love Grandma LaRee and she has fallen in love with them. LaRee said she would like to bring them all home to Canada to safe and wholesome grandmotherly nurture. 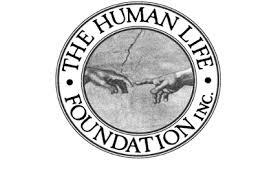 And if we had the resources, I have no doubt LaRee would build a big house where we all could live as a family, rich in arts and crafts and saturated in Christian love where Jesus Christ is Lord. Sweet fantasy, isn't it? But is it? If you read my previous post, the fantasy will become a reality for at least one small child. Our daughter and son-in-law are adopting a Haitian orphan. That child will be an orphan no more. Our family awaits with home and hearth and new love. 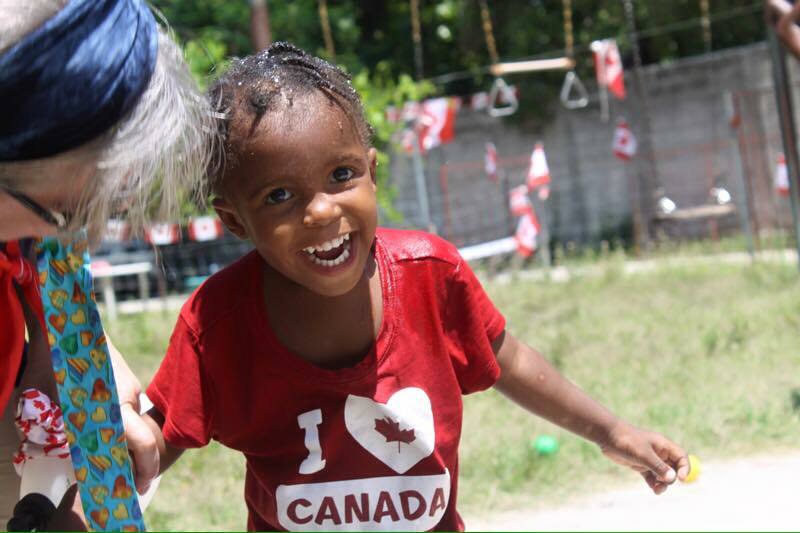 When LaRee's stay at the orphanage ends, she will never forget her children back in Haiti. And they will not forget her. She will leave them with something to remember: Love abides even in separation.